Embrilliance embroidery software for Mac and PC. » Mylar Butterflies in Flight! The original design was digitized by Jim Kassing here at Embrilliance as a free download. It is available in the BE format, so that you can open it into your Embrilliance software and save to whatever stitch file format that you need. For those of you that have never embroidered with Mylar before – have we got a treat for you! We have included a PDF with stitching instructions, step by step photos and tips for working with this fun medium! YES, if you have Embrilliance StitchArtist, you can see and adjust and and all of the individual objects – what a great way to learn how to digitize your own Mylar style designs! 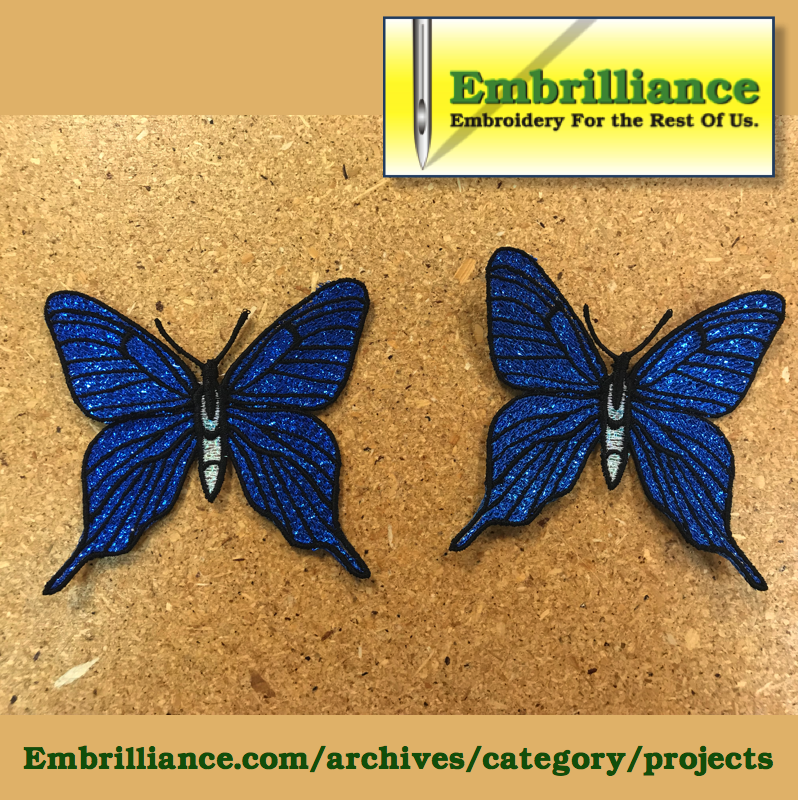 Click here to download the zipped file containing this butterfly design and PDF instruction file. If you are ready to get started – Download and unzip the file above. Read through the PDF file for step by step instructions on how to stitch your own mylar butterfly design and then let your creativity take flight! 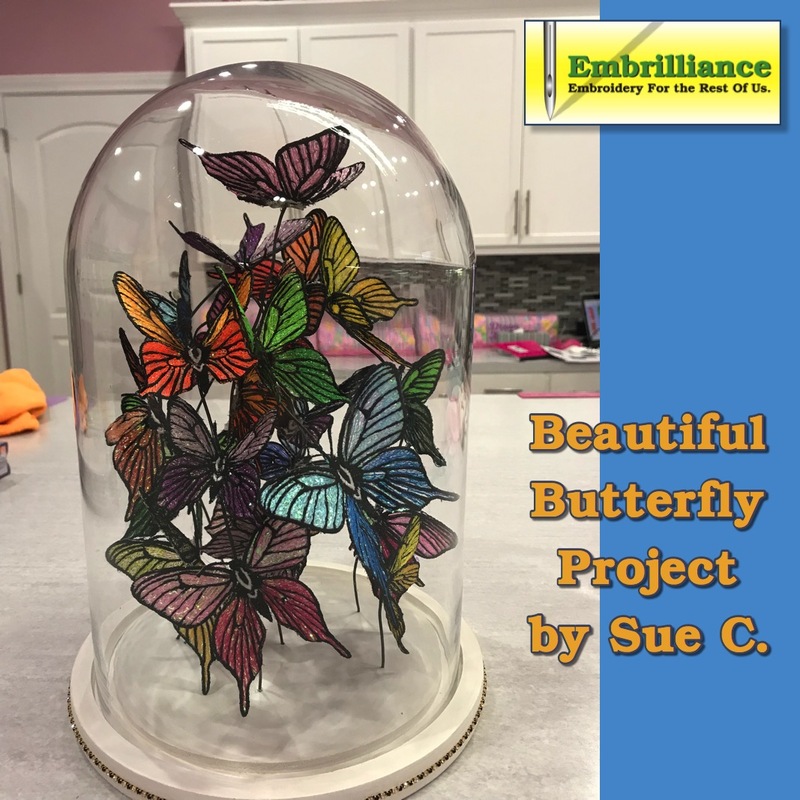 Thank you again Sue C. for sharing your project photo with us – truly inspirational! Posted 1 year ago at 10:19 am. "OMG - This not only worked - it is SUPER! I have a lot of the designer gallery software, but this is tremendous!!!"